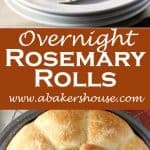 Overnight Rosemary Rolls are my contribution this month using a recipe from Sunset magazine. Not only can you choose which herbs to use in these soft, dinner rolls, but you can make the dough the day ahead of time, saving you valuable time on Thanksgiving day (or any other day of the year on which you are hosting a meal) and freeing up counter space and energy for you to work on other parts of your meal during the precious few hours leading up to your dinner. Sunset’s recipe suggests a collection of herbs– parsley, dill, chives and rosemary. I used only rosemary (2 Tablespoons minced instead of the other spices listed in the original recipe) and the smell in the house was nearly as nice as eating these rolls fresh out of the oven. These make great dinner rolls but also are excellent for small, leftover turkey sandwiches. Welcome back to #BreadBakers! This enthusiastic group of bakers is growing into quite the collection of bloggers. There are more than twenty of us this month who baked along with the theme of THANKSGIVING. 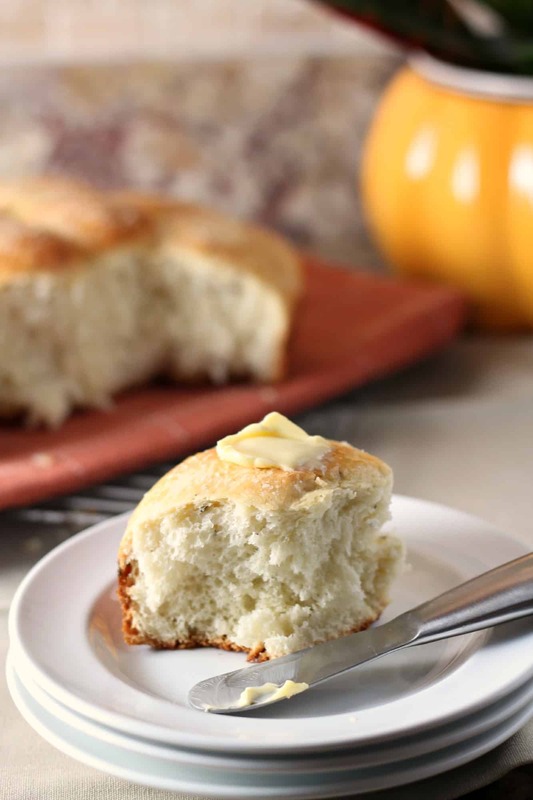 We hope you will find a recipe that you can share with your family this Thanksgiving among our list of rolls, loaves and baked holiday goodness below. Baking yeast doughs is a real treat and not that complicated once you give it a try. You’ll enjoy recipes for homemade brioche rolls, knead not sourdough bread, and parmesan thyme cream crackers. 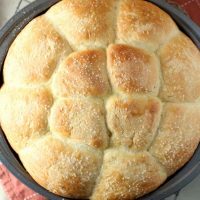 Baking homemade rolls is an easy recipe to begin with for bread baking. Please click through to Sunset magazine's recipe here for full instructions. I totally enjoy rosemary bread of any sort and these rolls look fabulous. Thanks for hosting this month’s Bread Bakers! Thanks for your effort given to this group each month, Renee. You and Stacy have put together a great group! I can definitely see leftover turkey sammies on these rolls! I can definitely see these for turkey sandwiches… Maybe with a little Dijon mustard and a sliver of aged cheddar! Yum! Holly, I totally love that you can make this dough the day before. There is enough to do on the big day. Pinned! You are right, Karen, the day of any holiday is SO busy. I need to make a list of other items I can take care of ahead of time this year. 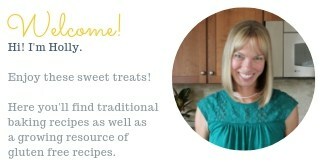 Such a great theme this month, Holly! Thank you so much for hosting. As I am going through the recipes, I want to make every single one! Especially your beautiful rosemary rolls. They would indeed be great for leftover turkey sandwiches. If there were any rolls leftover, that is. I would skip Thanksgiving dinner if it meant I could save it all as leftovers! Although I would not skip dessert, not a chance! Thank you for the time you spend on this group each month and especially for updating the links this month. Very much appreciated! Ahh, rosemary, probably my favorite herb. Your rolls are beautiful, Holly, I just want to grab one off the screen. Thanks for sharing this AND for hosting this month. Hi Robin, thanks! I agree, rosemary is wonderful in bread. Love it! I can just imagine how wonderful these smelled. You are right– the smell of baked bread at home is second to none! Yes, what a great group this is growing into! Looking forward to next month already. I absolutely love fresh rosemary in bread .. love these rolls. . I haven’t baked bread in a long time.. and that needs to change ASAP! love this and pinned!!! Thanks, Alice! I think rosemary is a star ingredient in so many dishes and around the holidays especially it is a wonderful scent to have coming from the kitchen. Thanks for stopping by! I love the sound of these, I can imagine how yummy they would be with turkey and left over stuffing stuffed inside, yum! First off, Thank you for a wonderful theme for this month’s bread baking! I had fun making my bread. Rosemary around Holidays is my favorite herb. These will be great for sandwiches the next day. Lovely recipe. Your rolls look so fluffy and delicious!